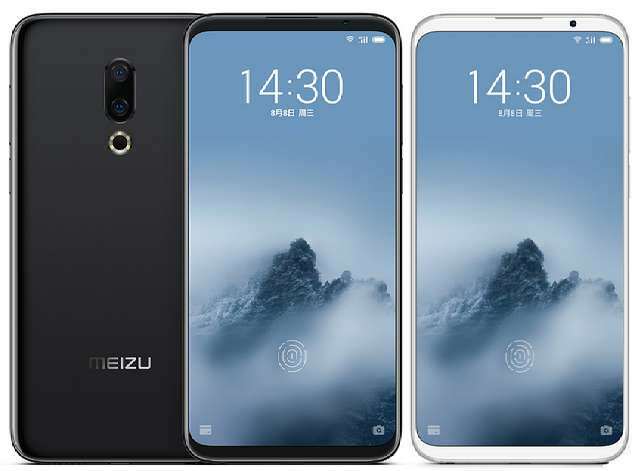 Meizu has announced its latest flagship smartphones that has been in talk for a while, the Meizu 16 and Meizu 16 Plus, both of which are here to succeed the company's "15 series" that were introduced in April. These runs Flyme OS based on Android 8.1 Oreo and comes with dedicated dual SIM slots. The Meizu 16 features a 6-inch Full HD+ Super AMOLED display with an 18:9 aspect ratio, while the plus model comes with a larger 6.5-inch Super AMOLED display with the same resolution and aspect ratio as its junior, both claiming a screen-to-body ratio of 91.18%, thanks to their ultra-thin bezels. The phones are powered by Qualcomm's Snapdragon 845 chipsets, coupled with up to 8GB of RAM and up to 128GB of internal storage. The camera properties of both smartphones are the same— at the back is 12MP+20MP dual camera, while a 20MP camera is equipped at the front with AI facial recognition for face unlock and AI Beauty for beautification. The most magnificent features that set them apart from their predecessor besides the introduction of Qualcomm most powerful processor is the inclusion of an in-display fingerprint sensor. The Meizu 16 and 16 Plus fingerprint sensors are laid underneath the front screen, allowing users to smartly unlock their phones by just tapping the screen with their finger. Meizu claimed a high 99.12% recognition rate. The phones has 3D glass back with ceramic texture; the smaller packing a 3010mAh battery, while the the plus model packed a 3640mAh battery with supports for mCharge fast charge. The phones will be available for pre-order starting today. Sales for the Meizu 16 and 16 Plus will start on August 16th and August 20th, respectively.